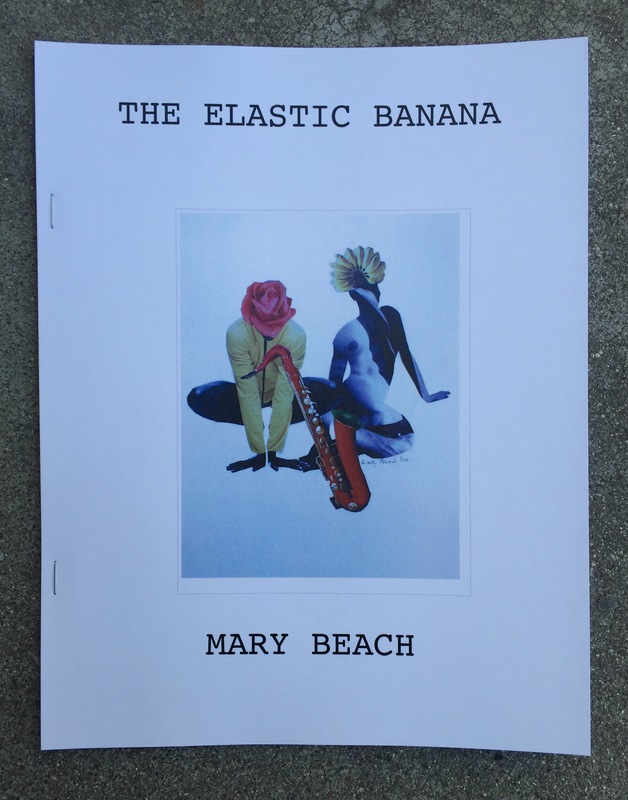 Mary Beach “The Elastic Banana” 16 Leaves, Side Stapled, Color Cover. 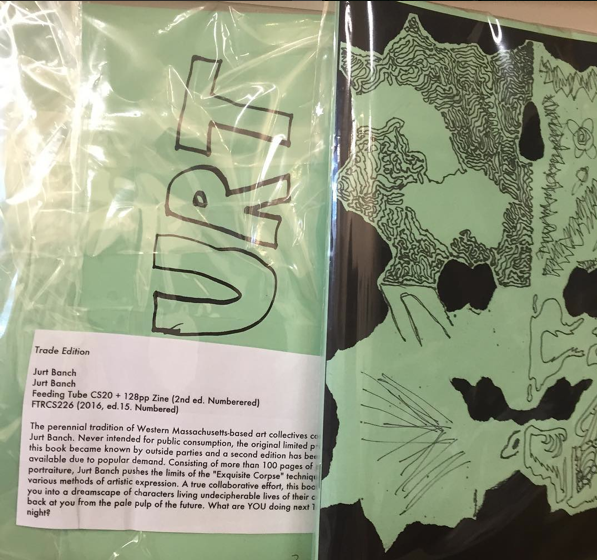 Edition of 50 Numbered by the publisher. 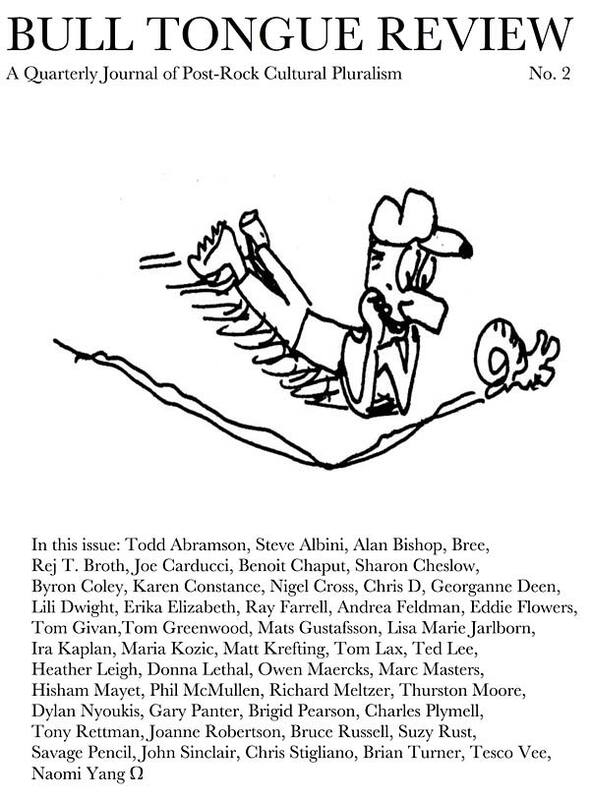 OUT OF PRINT! SECOND EDITION The 1969 manuscript for The Elastic Banana was recently discovered in the papers of Ed Sanders. 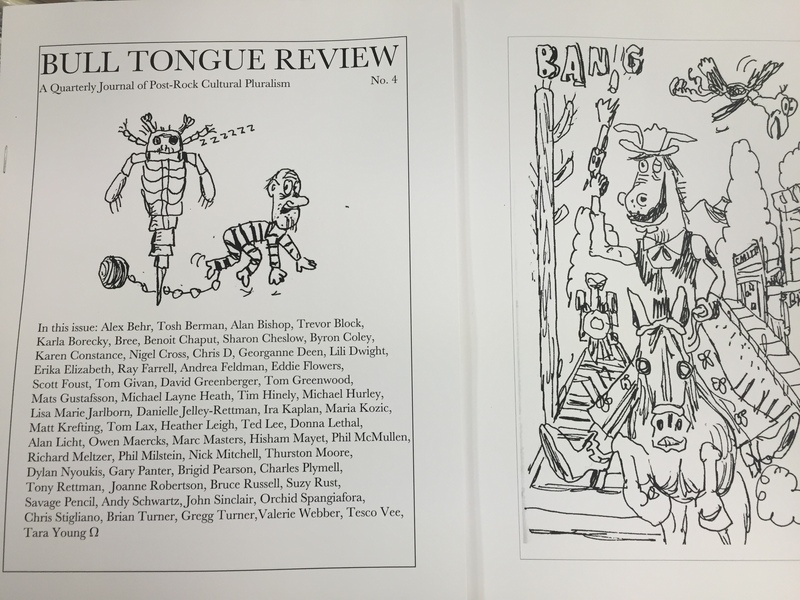 When this treasure trove was catalogued by Steve Clay at Granary Books, Pam Plymell was excited to learn of a previously unknown novella by her mother, Mary Beach. Mary’s earlier long form prose works, Electric Banana, Gothic Bananaand No Eye No Cyclone were also published by Cherry Valley Editions. So it is with great pleasure that we present this wild cut-up ride into the vortex. 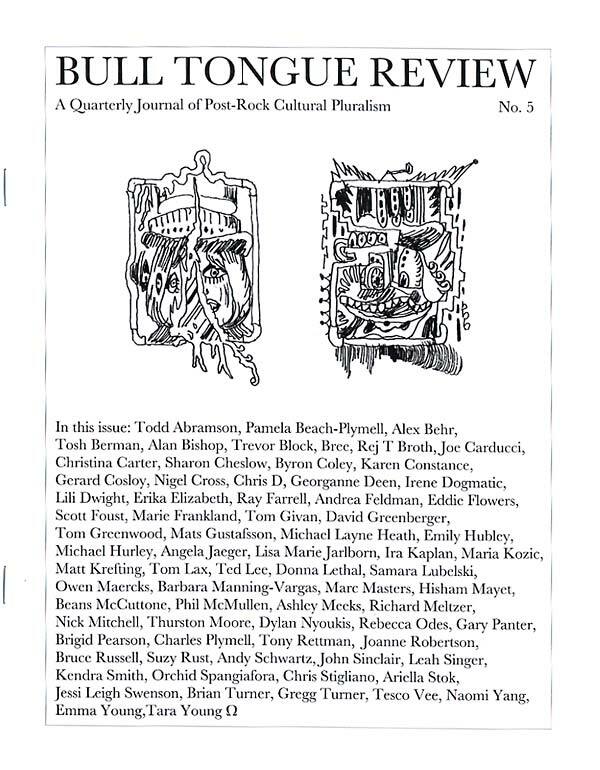 A Quarterly Journal of Post-Rock Cultural Pluralism, edited by Byron Coley. 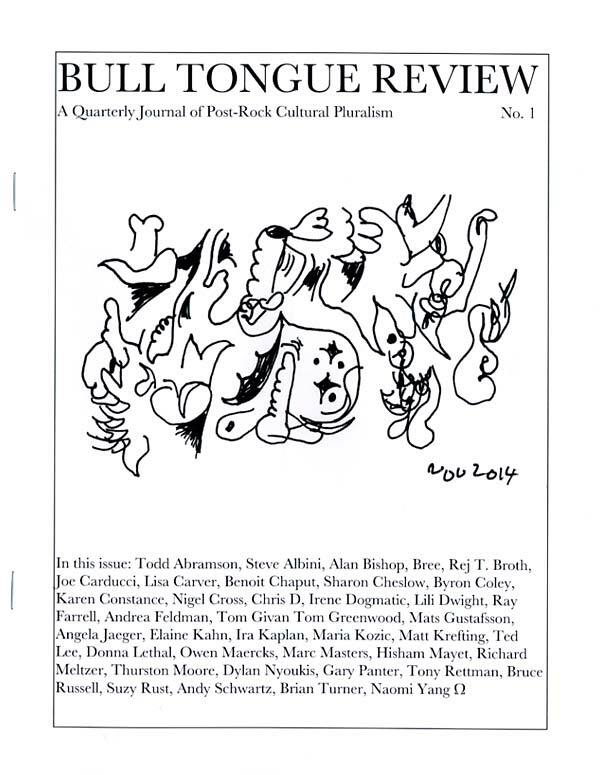 In this issue: Todd Abramson, Steve Albini, Alan Bishop, Bree, Rej T. Broth, Joe Carducci, Lisa Carver, Benoit Chaput, Sharon Cheslow, Byron Coley, Karen Constance, Nigel Cross, Chris D, Irene Dogmatic, Lili Dwight, Ray Farrell, Andrea Feldman, Tom Givan Tom Greenwood, Mats Gustafsson, Angela Jaeger, Elaine Kahn, Ira Kaplan, Maria Kozic, Matt Krefting, Ted Lee, Donna Lethal, Owen Maercks, Marc Masters, Hisham Mayet, Richard Meltzer, Thurston Moore, Dylan Nyoukis, Gary Panter, Tony Rettman, Bruce Russell, Suzy Rust, Andy Schwartz, Chris Stigliano, Brian Turner, Naomi Yang. 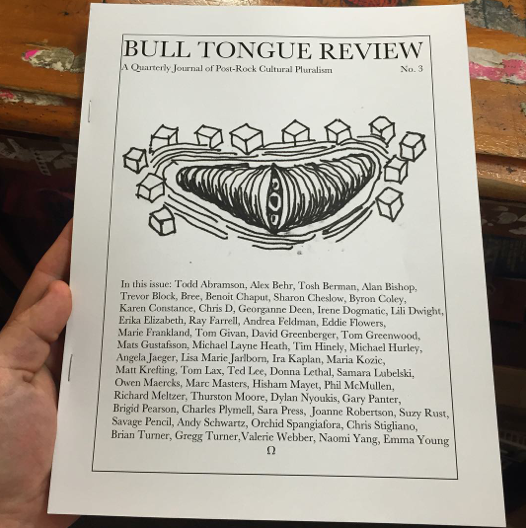 50 pages, black & white 8.5″ x 11″.